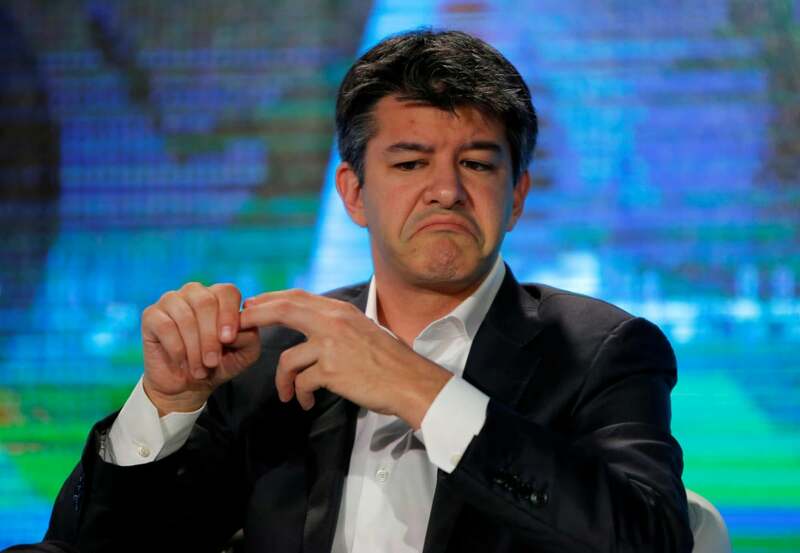 Uber’s CEO reacts, but who’s buying it? Yet another story of blatant sexual harassment and discrimination in Silicon Valley has emerged. This time from a former engineer at the already embattled ridesharing company Uber. Don’t retire your #DeleteUber hashtag just yet. In a blog post dated February 19, Susan Fowler, who joined Uber as a systems reliability engineer in 2015, recounts her repeated attempts to report inappropriate conduct by a manager -- only to be brushed off, ignored, threatened and denied transfers. This is surprising only to those who haven’t been paying attention. Also not surprising is that it’s only after Fowler’s story went viral that Uber finally decided to look into the allegations. Again, the careers of “high performing” white, straight males are prioritized over those of the targets of their harassment. I have to wonder if had CEO Travis Kalanick not been so recently skewered for his participation on a certain Business Advisory Board he’d be taking the same stance. Because this issue certainly goes deeper than just one or a few managers at the company. It speaks to much deeper cultural issues within Uber’s HR department. And that begs the question: What did Kalanick know, and when did he know it? Though his Tweets about the revelations certainly sound the right notes. Kalanick said that what Fowler experienced "is abhorrent and against everything we believe in. Anyone who behaves this way or thinks this is OK will be fired." And, in a second Tweet, he added: "I've instructed our [chief human resources officer] CHRO Liane [Hornsey] to conduct an urgent investigation. There can be absolutely no place for this kind of behavior at Uber." It’s puzzling that he wasn’t aware of these issues until Fowler’s blog post brought them to his attention. What kind of culture do you have when your HR department and other organizations aren’t bringing these things to your attention as they’re happening? Liane Hornsey -- who just joined Uber as CHRO in January following Renee Atwood’s move to Twitter ( maybe Jack Dorsey should keep an extra close eye on his new executive) -- has some housecleaning of her own to do. It’s not just the technical teams that have a problem, but the HR team members under Atwood who heard and saw Fowler’s evidence and felt compelled to dismiss her. It’s almost as though they prioritized the good of the bottom line over the well-being of their employees. Where could they have gotten that idea? As I read various reporting on the revelations, one particular headline from Ars Technica caught my eye: “Ex-Uber engineer alleges sexual harassment, CEO reacts by promising investigation.” The key word in that headline is “reacts.’” As a CEO, you need to do more than “react” to these incidents. You need to be proactive in making sure this never happens in the first place, and certainly not repeatedly, as Fowler claims.